Florence and Giles are orphaned step-brother and sister, living together in their estranged Uncle’s mansion. Instead of the love and care from parents, they have the watchful eyes of the house servants. One of the strict rules their Uncle has left is for Florence not to be educated and banned from learning to read. Due to her inquisitive nature and determination, she teaches herself to read and spends most of her days hidden away in the library, absorbed in her books. As well as a bibliophile, twelve year old Florence sees herself as the protector of her younger brother Giles. As she night walks around the blustery corridors of the old house she is haunted by dreams of a woman that threatens to come and take him away. But one of the main women in their life, their governess, has just passed away after a freak accident, drowning on the lake where Florence couldn’t save her. The next governess looks strangely familiar as and eerie things start to happen within the house the new ladies action become even stranger, leaving Florence to do everything she can to protect her little brother. 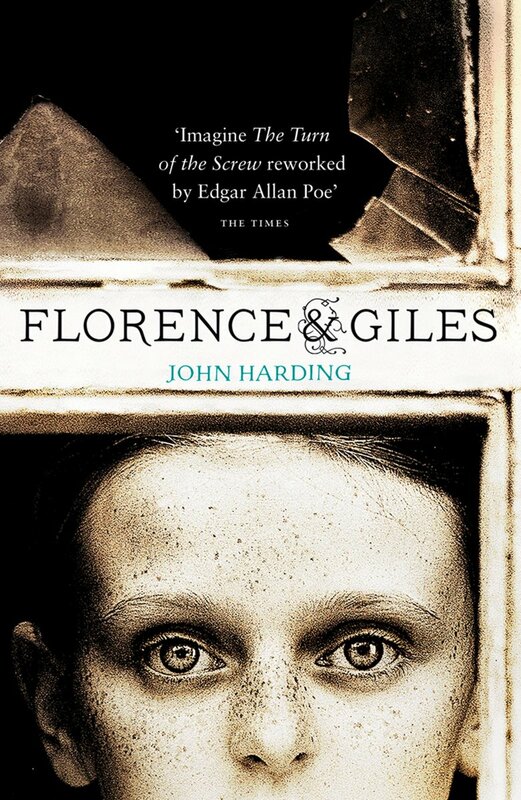 The first thing that will strike you about Florence and Giles is the way it is written. Styled as if penned by Florence’s hand, she explains her appreciation for Shakespeare and the way he made up words, so she follows in his footsteps. All the language makes sense as she generally adds to words already in use, creating ones such as ‘unfootfalled,’ ‘sneakery’ or ‘unlettered.’ You fall straight into her style after a couple of pages and it really adds to the warmth you feel for her. John Harding also plays with how you feel for Florence, sometimes she’s the feisty little heroine you love and other times you’re not quite sure if she’s playing with a full set of marbles, either way, she’s absolutely brilliant. Full of Victorian Gothic styling, ghostly happens and a number of twists to keep you guessing this book is a complete gem.